Following on from the first generation Powerwall, the most popular and cost-effective home storage product on the market is Tesla Powerwall 2.
back-up in a power cut. Note that back-up is a relatively new feature (end of Q1 2019), thus if you have previously installed a Powerwall 2 unit without back-up, you would need to upgrade the 'Gateway' to enable back-up functionality - see Installation below. Powerwall 2 consists of the main unit (see picture in our downloadable guide) which houses the battery and inverter/charger, as well as a smaller “Energy Gateway” which measures the energy flows through the house and directs the battery to charge or discharge accordingly. It also 'islands' the house in a power cut, enabling the solar system to keep working and the battery to charge and discharge. The gateway is a stylish frosted glass-fronted ‘mini’ version of Powerwall 2, measuring 380mm wide x 580mm tall x 127mm deep, and weighing 9.8kg. It is IP55 rated, so suitable for outdoors, and can be padlocked to stop any unwanted access. The gateway is installed near the electricity meter. The main battery unit should be relatively close to the gateway, otherwise the installation cost increases. The ideal scenario is an integrated garage with the meter and fuseboard inside. If there is no garage, the main unit usually goes on the outside wall as close as possible to the gateway and electricity meter. The installation typically takes up to a day for two installers. With the advent of smart meters, able to record half hourly electricity use, the market will gradually witness the introduction of many more such ‘time-of-use’ (ToU) tariffs. Clearly there are large savings (up to 24p per kWh under ‘TIDE’) to be made by buying electricity at night and using it in the day. Time-based Controls are now in place for Powerwall 2. Self-powered This mode is purely for solar self-consumption, with no charging from the grid. It will prioritise charging from the solar at all times and discharge whenever it can to maximise self-usage. Advanced - Time-based control (Balanced) Balanced mode is the same as self-powered, except you can tell Powerwall the peak and off-peak times for your tariff and the battery will DISCHARGE at peak times in preference to off-peak times to maximise savings. There is still no charging from the grid in this mode. Advanced - Time-based control (Cost Saving) Cost-saving mode incorporates charging from the grid at off-peak times where possible to maximise savings, as well as charging from solar during the day. Mode Backup Reserve Solar Self Usage % Savings Who should do this? Self-powered Configurable (0-100%) Great! OK "I want to minimise my carbon footprint"
Advanced - Time-based control (Balanced) Configurable (0-100%) Good Good "I want to minimise my carbon footprint and I have a ToU tariff"
Advanced - Time-based control (Cost-Saving) Configurable (0-100%) OK Great! "I have a ToU tariff and want to maximise my savings"
You don’t even need a solar system to benefit from time of use charge and discharge. That said, the best savings will be realised through a combination of solar self-consumption and ToU charging and discharging. As of the end of Q1 2019, Powerwall 2 enables you to continue providing power to your home or business during power cuts. It also allows your solar PV system to keep running in a power cut (as long as the system (subject to size limits below). Powerwall 2 can be installed to back up the whole house, or it can be installed such that it backs up only certain loads. Even with ‘whole house’ back-up, certain large loads (such as a car charger) can be excluded. The system will switch automatically although the switch will not be to “UPS” (un-interrupted power supply) standard. Tesla claims that in general you won’t notice the switch (except via a notification on the Tesla app), but don’t rely on the seamlessness of the system if you have critical loads requiring seamless back-up e.g. life support equipment. You will need to specify a reserve percentage (e.g. 30%) and the system will always keeps that percentage of the capacity in reserve for a power cut. This setting can be changed. If the grid goes down and the loads in the house exceed 5kW, (or if they exceed 3.68kW for a system set on the lower 3.68kW power output at commissioning), the battery will shut down. The system will spend the next hour sending you reminders to turn off high power loads so that the total load falls below 5kW and the battery can re-start. After this the battery will need a manual reset to re-boot (via the gateway box). Not only will a back-up enabled system keep the lights on in a power cut, it will also keep the solar system functioning. The system will continue to function whilst there is either a load or sufficient spare battery capacity to soak up the solar electricity it produces. If there is insufficient load or battery capacity to soak up the solar, the system will automatically power down the solar. However it should be noted that for this to work effectively don’t connect more than 7kWp of solar to a system with a single Powerwall set at 5kW output. 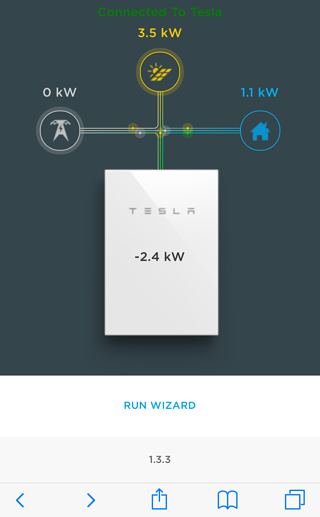 If the Powerwall is set at 3.68kW (due to DNO constraints), don’t connect more than 5kWp. 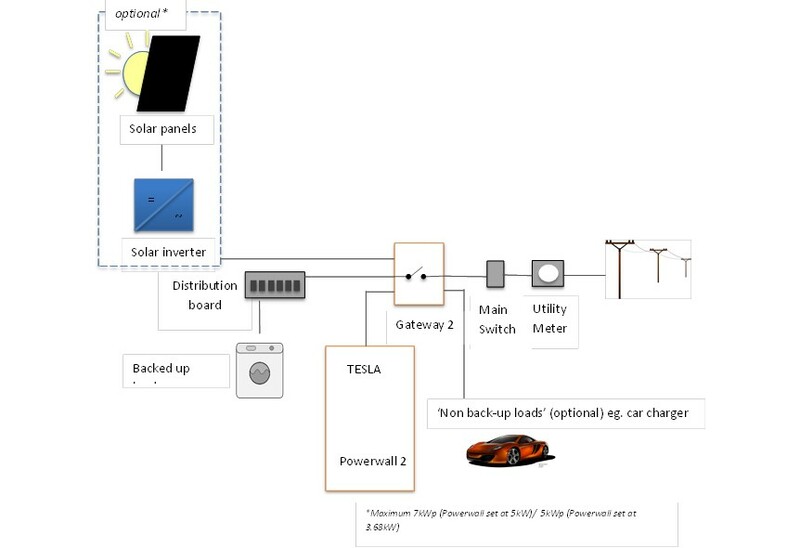 If you want more solar, you need more Powerwalls, or you need to connect the solar 'upstream' of the gateway so that the solar disconnects in a power cut….. The sizing of the Powerwall 2 means that with full back-up power (5kW), with some judicious juggling, your life should continue undisturbed through the average powercut. That said, you should probably wait until the power comes on before using an electric dryer, and if you want to ensure you can continue to cook up a storm in the kitchen, it’s probably best to install two Powerwalls. If you reserve 30% of your battery (4kWh), then you should be able to watch TV, use your laptop and keep the lights and freezer working for almost four hours, whilst enjoying a few cups of coffee in the process. Note that if you try and run more than the 5kW load limit, Powerwall 2 will stretch to 7kW for a few seconds, but after that you will see some ‘brown-out’ behaviour, as indeed you would if you tried to import more than your 100A supply from the grid. There is no ‘3-phase’ version so instead single units have to be put on each phase to power 3-phase loads. The maximum number of units that can be installed per site for 3-phase supply is 9 - 3 per phase. Alternatively, you can put up to 10 units on one phase to power single phase loads. Even with Powerwall 2 installed on each phase, the back-up functionality will only allow loads to work on a single phase when the grid goes down. Design and efficiency The system uses a highly efficient battery and inverter (>90% AC in to AC out) combined with a battery management system controlling the state of charge, voltage, temperature and other parameters. Quality control and safety The system has been developed in-house by Tesla following their substantial experience from automotive battery technology. Every system undergoes extensive testing and inspection in their “Gigafactory” in the U.S. and the in-built management system incorporates an inherently multi-layered safety system. 10 year warranty Unlike most battery manufacturers, Tesla prefers to talk in terms of years rather than cycles, cycles being a less easily understood concept than years. Tesla's warranty guarantees unlimited cycles for self-consumption and time-based control (grid charging). The warranty guarantees the battery will retain 80% of its initial capacity after 10 years. That means that after 10 years, the Powerwall 2 should still be able to provide 10.8kWh of capacity. An important thing to note is that there is a UK free phone number to claim (not China, Korea, Germany or a sales reps mobile like some batteries). Lowest lifetime cost per kWh Powerwall 2 offers great value for money, giving one of the lowest “lifetime cost per kWh stored” on the market, well below the current cost of grid electricity. Beautiful design, wall hung and weatherproof Space is a consideration in residential properties, as indeed is aesthetic appearance. The design is modern and minimalist, designed to be seen, not hidden away out of sight. And the waterproof case means that it can be installed outdoors. Flexibility Tesla has designed a system that will allow AC-coupling with any PV system, or even without a PV system if used only for off-peak charging and backup. Furthermore, up to nine Powerwall 2 units can be installed together to help power systems of varying size. High capacity (kWh) and power output (kW) Powerwall 2 has a total usable capacity of 13.5 kWh and a maximum power rating of 5kW. This is well above the size of competitor systems (even though they cost more…). That’s because as well as being geared to storage of excess power, Powerwall 2 is geared to the future: time of use charging. Tesla also ‘gets’ that most people wanting back-up would like their life to continue relatively undisturbed (see our section on back-up to understand the different load types). The system is also geared to ride the rollercoaster of the British weather system. Reduced peak demand charges Powerwall 2’s large usable capacity can be combined with Economy 7 tariffs to help reduce your electricity bill. By charging Powerwall 2 overnight from the National Grid on the lower tariff, daytime peak demands can be met through battery discharge rather than more expensive Grid import. Grid back-up facilities From late 2018 Powerwall 2 will enable you to continue providing power to your home or business during power cuts. See above. Increases power output of the average home by 20% Most homes have a single phase 100A connection, limiting power consumption in the home to 100A. At 230 V, that’s around 23 kW. With a 5 kW continuous output from the battery, a full battery has the potential to ramp simultaneous power consumption by 20% for 2.5 hours. This may come in handy if yours is one of those busy households with a two hour window in which to wash the dishes, dry the clothes, cook dinner and charge the car… And if you’re running a home with two electric vehicles fighting to be charged, some sort of turbo-boost on the incoming grid power is going to be an absolute must. Export Limitation Certification Most battery systems require prior approval from the electricity grid (DNO) before they are installed. 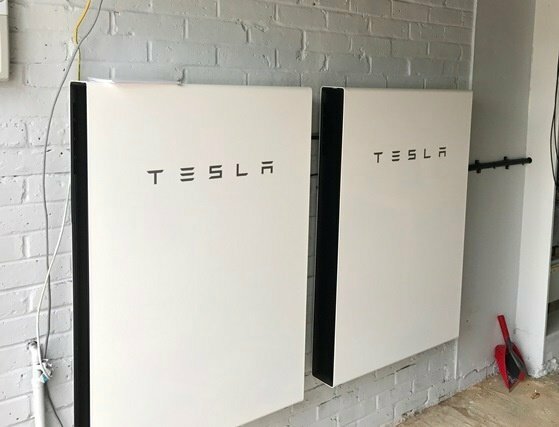 However, Tesla Powerwall 2 is one of the only systems to have a certification in place which allows it to be installed alongside existing or new solar PV systems up to 4 kWp without prior approval. This not only saves up to £250 of application cost, but can also avoid weeks of delay and potentially avoid a connection refusal (although this is rare unless the solar PV system is very large). Warranty Tesla doesn’t talk in terms of life cycles, a concept which is not easily quantified by most of us. Tesla talks in terms of years and minimum output. If you use your battery for solar storage only, Tesla guarantees that the storage capacity will still be at least 10.8kWh after 10 years. The Powerwall 2 is ac coupled and is therefore compatible with any solar system when connected to the grid, and back-up is not required. The cost of installing a Powerwall 2 varies, but as a guide, allow up to £8,500 incl VAT @ 20% for standard installations. If installed as part of a solar system the applicable VAT rate is 5%. The Tesla battery cost is generally lower per kWh than any other system, giving a lifetime cost per kWh well under the grid cost of electricity of 15p per kWh. 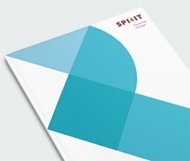 Spirit is an Accedited Powerwall Installer. For more information, download our guide "Is Tesla Powerwall 2 Right for Me?" Is the Tesla Powerwall 2 right for me? Is Tesla Powerwall 2 right for me?